Recent awards: •	1st Prize “Best video”- Freedom Tonight - Azaléa Film Fest, Alabama, USA, 2018 •	Finalist at the European Blues Challenge, Danemark, 2017 •	Prix Révélation Française at Cognac Blues Passions, 2016 •	Prix National France Blues – invited to represent France at the European finals in 2017 •	Prix All That Jazz and Prix Coup de Coeur 2015 at the Cahors Blues Festival GAËLLE BUSWEL is a unique artist who leaves no one indifferent. Her exceptional voice will move you as it reaches straight for your soul. Her generosity of spirit, her spontaneity and her dazzling smile are irresistible. A prodigious performer, she has already more than 500 concerts across Europe under her belt as well as 2 North American tours, and one tour in Japan. 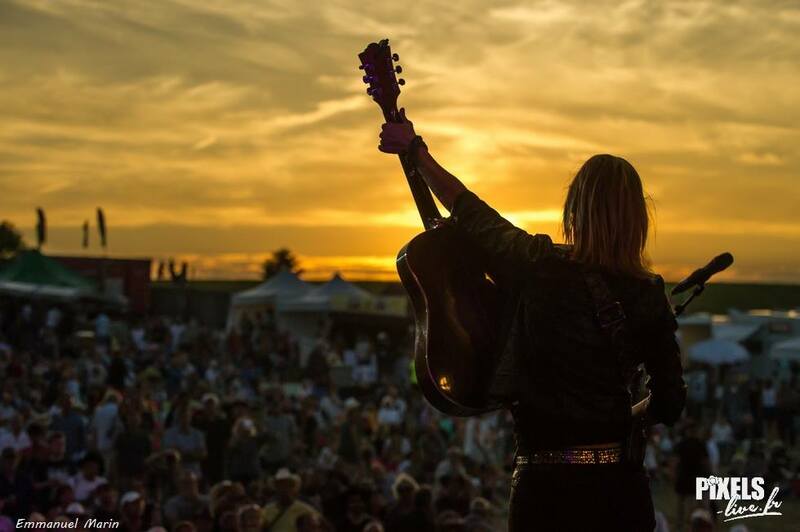 In listening to her music, it is not surprising to learn that right from the very start this artist was drawn to folk rock and blues rock sung by husky-voiced singers. When you have the music of Led Zeppelin, Joe Cocker and Queen all playing in the nursery, with Neil Young and Janis Joplin for your childhood lullabies, you are bound to be drawn towards this fantastic mixture of complementary musical influences. Starting from the age of 13, Gaëlle has been giving concerts throughout France, Belgium and England. Her fan base took off with the posting of a video of her covering a Tina Turner song. Leaving for London where she would spend several months playing solo and challenging herself to play at times in the Underground, Gaëlle is proof that music is indeed a way to bring people together. She would do this again in the Paris Metro, the unexpected result of which was being invited to perform in detention centers and children’s hospitals. These different experiences have all contributed to her evolution as a songwriter. It is at this time that people begin to compare her to artists such as Joan Baez and Melissa Etheridge. Gaëlle composes most of her own material. The first songs were promising enough to lead to her first album, the acoustic folk rock “Yesterday’s Shadow”, recorded with the collaboration of Neil Black and released in 2012. Her second album, “Black to Blue”, released in November 2014 brought with it an ever-widening audience and 4 music awards. North America also welcomed her. She gave her first live radio on WFDU FM New York and was selected as “Artist of the Month” by the American webzine Concert Blogger. “Black to Blue” would keep her on tour around the world for over 2 and half years. In the summer of 2015 Gaëlle packed up her guitar and embarked upon a 45-day journey across the United States. This voyage was to be a pivotal moment for her, an exploration of the homeland to the music that she has found so influential. From this personal adventure, one particular encounter stands out. While jamming with other musicians in Austin, Texas, Gaëlle would meet David, a homeless musician who has been playing music while living on the streets for the past 20 years. He would give her one of his songs, “No One Else” and in return she promised to find a way to return, find him, and record the song together. Several months later, Gaëlle did indeed return to Texas to make good on her promise; finding David and recording the song. This one exceptional meeting would be the starting point for the writing of her 3rd album, “New Day’s Waiting’ which is to be released in 2017. This album, recorded in analog on both sides of the Atlantic comprises the additional track of the original recording of David’s song. Gaëlle Buswel has been on the marquee of numerous events such as: The Festival d’Ete in Quebec (Canada), the Tahiti Blues Festival, the Festival Blues au Féminin, La Nuit de la Guitare, Cognac Blues Passions, Cahors Blues Festival, Montereau Festival, Musik à Manosque,... She has opened for such artists as Jonny Lang (French Tour), Vintage Trouble, The Pretty Reckless, Tyler Hilton from the series « One Tree Hill », Darren Criss from the series « Glee », UB40 and the James Hunter Six in Europe. 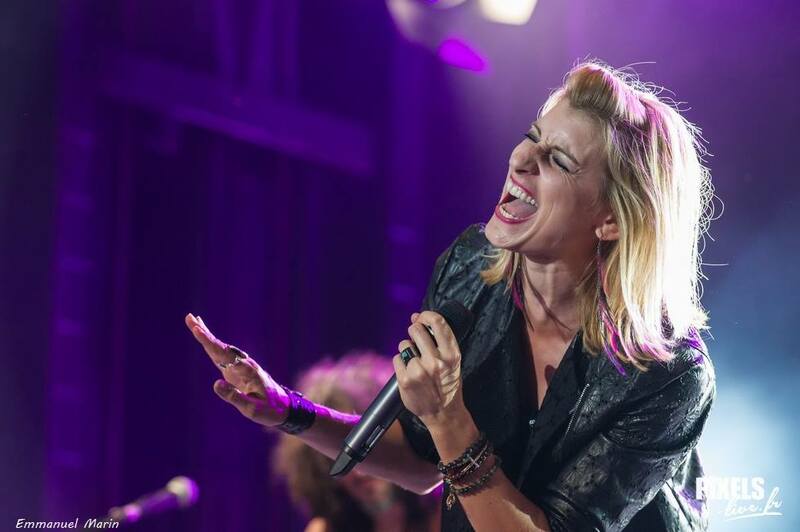 She has played in Germany, Poland, Belgium, Japan, Arizona… Last January she played at the famous Olympia in Paris for the 1st time and at the Palais des Congrès de Paris with Beth Hart in May 2018, but she also played at La Cigale, Le Trianon, Le Café de la Danse... in Paris. Last june 2018, she opened for the amazing Ringo Starr (from the Beatles) at the legendary Olympia, Paris for the second time. 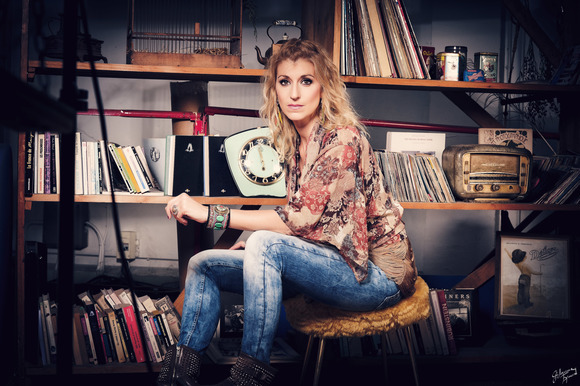 Today, it is with her own songs and her own musical world – a place colored by American blues rock, folk and ‘70’s rock but clearly of it’s own time - that Gaëlle Buswel brings us as she stands before her audience. There are lyrics that will touch your heart, melodies that grab a hold and take you elsewhere. Her unique ability to convey her own vision of things through her music makes her a complete and authentic artist followed very closely by thousands of fans from the four corners of the earth.